A good wetsuit is core to a good surfing experience, especially for those of us who enjoy the sideways glide in colder parts of the world. However, there is no doubt the wetsuit in its modern form is somewhat of an environmental catastrophe. Luckily, as with many of the gravest environmental issues there are some brilliant and dedicated minds working hard to try and rectify the issues. Writer Amy Hook recently set out to investigate. Surfers are renowned for the close bond they feel with the nature while floating around in the ocean. In many transient ways, surfing offers the feeling of truly experiencing the world, in all its natural and imperfect charm. Often the sport and a love for the environment go hand in hand. Beach cleans, the shift towards eco-friendly swim wear and cutting down on plastic usage are just a few of the many actions adopted by surfers to be more eco-friendly. 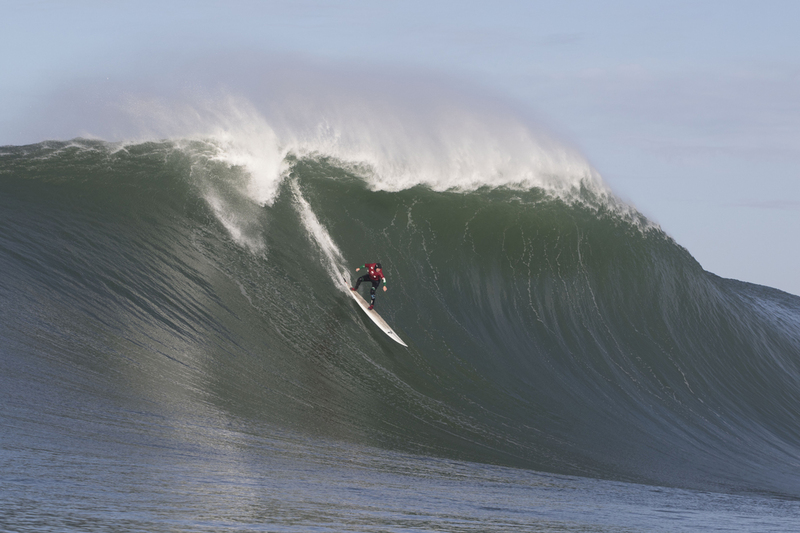 Professional big wave surfer Andrew ‘Cotty’ Cotton has made many changes to his lifestyle. “My whole family is aware of the problems our planet is facing with plastic pollution, we all try and do our bit, make conscious choices about single use plastics,” he says. But, there is one big environmental problem caused by a piece of equipment embedded into the roots of the surfing and watersport world, the wetsuit. The ‘father of wetsuits’ Hugh Bradner invented modern neoprene wetsuits in 1952 and they have evolved, via Jack O’neill, into the ones we see and wear today. Unfortunately their core ingredient, neoprene foam, is a particularly unpleasant synthetic rubber made from petroleum. Neoprene can be manufactured in two ways. Firstly, there is oil-based neoprene, created by a vast amount of oil drilling and transportation. Secondly, there is limestone-based neoprene, which involves mining to great depths. Both are non-renewable and have significant, long term detrimental effects on the earth. As such, these wetsuits cannot be deemed environmentally friendly. Back in 2016, as awareness of the problems were gathering momentum, Patagonia announced it would be creating the first neoprene free wetsuit, made from natural plant-based rubber called Yulex. But, to truly find solutions the life-cycle of a wetsuit must be looked at holistically. Once a wetsuit has finished its functional seafaring life, people have no real idea of what to do with them. This is a big problem. Old wetsuits lay dormant, unused, gathering dust and making new homes in cars, garden sheds, garages and utility rooms. New wetsuits then replace the old suits, creating a cycle and build up of non-biodegradable waste. However, one company is yearning for change and hopes to cut down on these discarded products by formulating wetsuits from wetsuits. Situated upon the edge of the ragged cliffs in St Agnes, Cornwall is Wheal Kitty workshops, home to outdoor clothing brand Finisterre, renowned for its environmental awareness, with Surfers Against Sewage sat just across the car park, making up two units of a small Cornish industrial estate that could hold the key to many of our industries gravest environmental issues. Fifteen years on from selling fleeces in a flat above a surf shop in Devon, Finisterre founder Tom Kay now has hopes of creating the world’s first recyclable wetsuit. 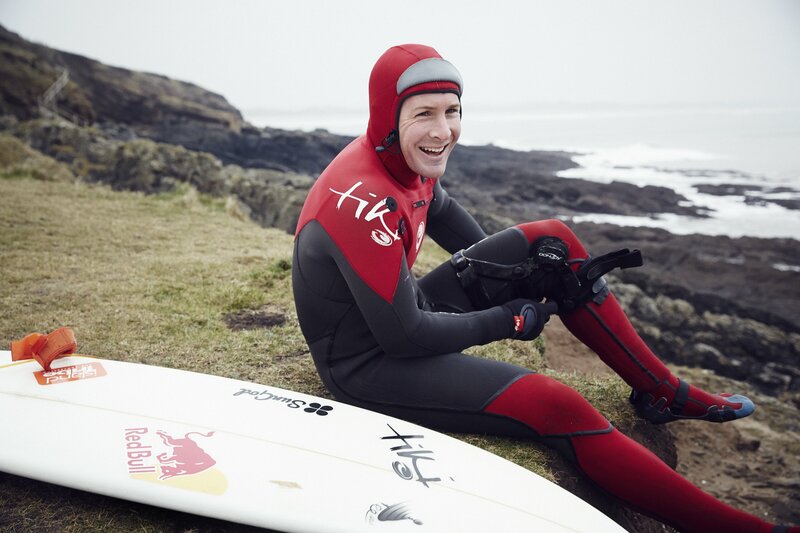 By noticing his own old wetsuits just lying around, Tom has sought to transform wetsuits and their wasteful ways. “We have an intention and outlook as a brand that we should use innovation to achieve a sustainable agenda,” he says. Reeling off the statistics regarding the amount of waste created by wetsuits, he explains how most suits last around two years and with half a million surfers buying a new suit each year, an estimated 380 tonnes of neoprene waste is create. “There are a lot of serious issues and problems out there and we think this is one of them,” Tom clarifies. The wetsuits from wetsuits programme started in November 2017, with the help of Professor Oana Ghita a materials engineering professor at Exeter University. Since then, Finisterre have recruited Jenny Banks as their full-time wetsuit recycler. “We have, I think, the only full-time wetsuit recycler in the world here,” Tom proudly shares. When recruitment for the position came about, the programme was inundated with over one hundred applicants. Finisterre’s engaged cold-water surfing community have sent back their old wetsuits to be tested and pulled to pieces for the programme, as tests and research into design, product development and manufacturing takes place. All with the hope new wetsuits will be made from these old wetsuits. It is common for people to repurpose their wetsuits into yoga mats, laptop cases and beer holders. Tom labels this process “down-cycling.” He says, “it is good intentions but it is not really fixing a problem or getting to the heart of the problem.” This reflects on the importance of a bigger project like the wetsuits from wetsuits programme, which aims to strike at the centre of this environmental surfing issue. Andrew is enthusiastic about the idea of wearing a wetsuit, which is recycled and re-purposed from an already existing one. He believes Finisterre’s programme is a “great idea,” which reflects how many surfers are keen to change their consumerist ways and act on the non-ecological construction of wetsuits. 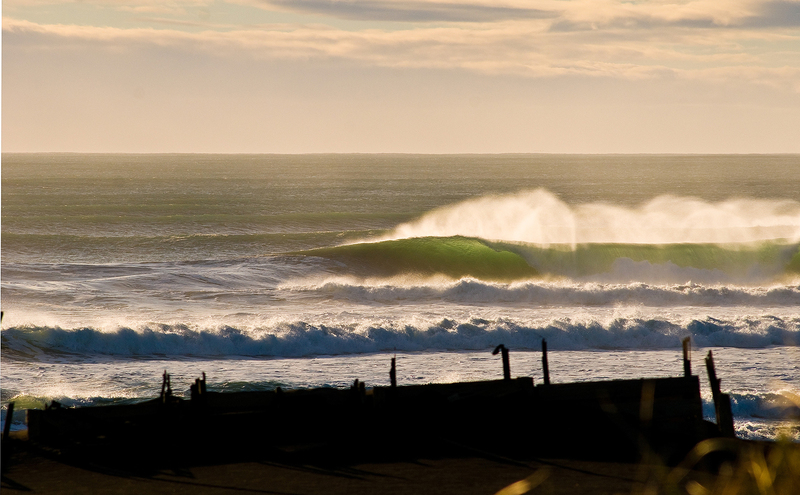 Finisterre is just one company pioneering the way for a ‘greener’ surfing industry. The world can only hope more manufacturers follow. Wetsuits are only one aspect of the surfing world that needs to develop with sustainability in mind. Perhaps when the time comes for you to get a new wetsuit, it will have been made from this new process. At a time where people are more conscious about the environment, it is necessary to take action, move away from our existing practices and not be blind to the challenges our world faces.